Basic implementation of a Hierarchical Task Network (HTN) as a Unity minigame. The player races against the AI to collect items while avoiding enemies. Basic implementation of a Hierarchical Task Network (HTN) in the form of a Unity minigame. 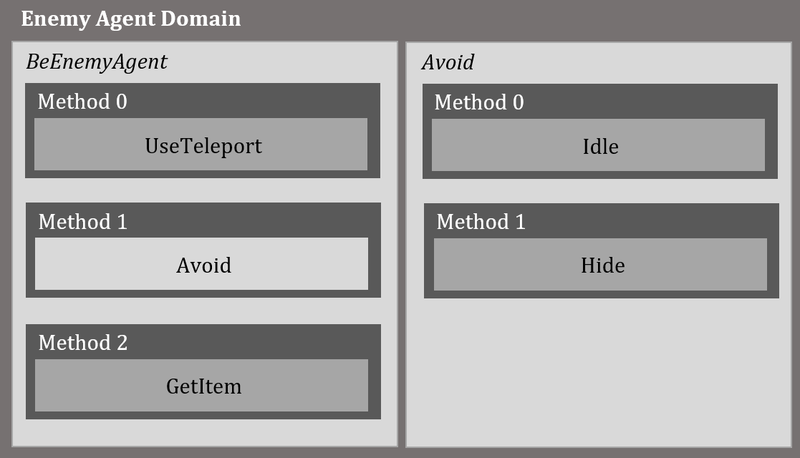 The opposing Agent is controlled by a basic Hierarchical Task Network. Implementation was based off of this section in Game AI Pro. The implemented pseudocode described in the paper can be found in the EnemyAgentPlanner class in the MakePlan() method. All assets are made using default Unity components.